No Other Dealership Group Can Offer You This Many Convenient Service Options. At Bernie Moreno Companies, service means, first and foremost, we’re at your service. Every one of our dealerships will go to virtually any length to ensure your next service goes as smoothly as possible. Here are just a few of the benefits available to anyone who has their vehicle serviced by Bernie Moreno Companies, regardless of where you purchased your car. We’ll pick up your car no matter where you are. At home. At work. Anywhere. We’ll pick up your car and drop off a loaner. Drop your car off at any of our stores, and we’ll get it to the right one. 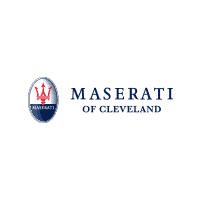 Say you bought a vehicle from Cleveland Motorsports, but one of our other dealerships is closer to you. Just drop off your vehicle at one of our other dealerships and we’ll bring it to Bernie Moreno Companies for service. 20% off valet when you’re taking a trip from Cleveland Hopkins Airport. Park at the Hopkins Valet, text us the ticket number and we’ll pick it up and service it while you’re away. ALL Bernie Moreno Companies customers get 20% off Valet Parking at Hopkins. Ask for your BMC discount. A car wash a week with our new Auto Spa. You’ll get 52 bumper-to-bumper car washes per year as our Auto Spa member. We’ll keep your car looking like new with a free wash during any service, a complimentary car care kit, and one full exterior/interior detail per year. Click here for more information.